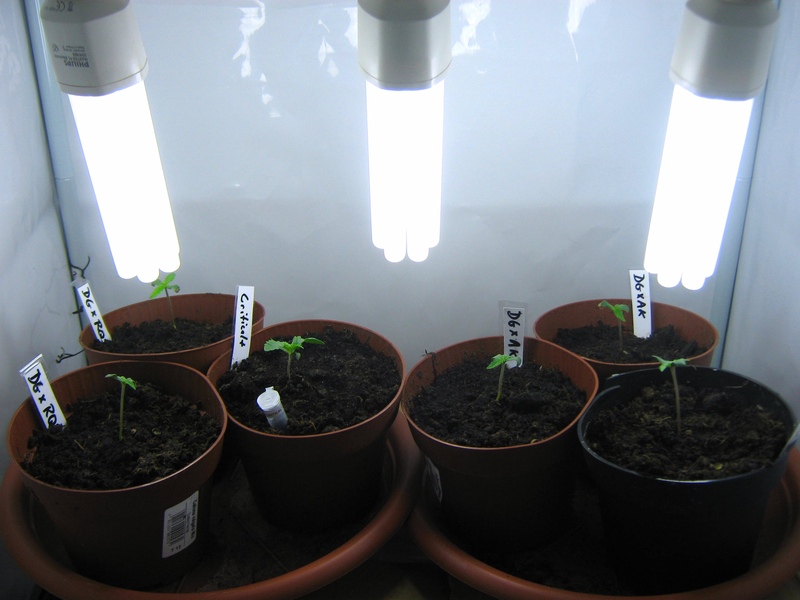 The 100Watt CFL grow after 3 Weeks – A healthy looking crew. 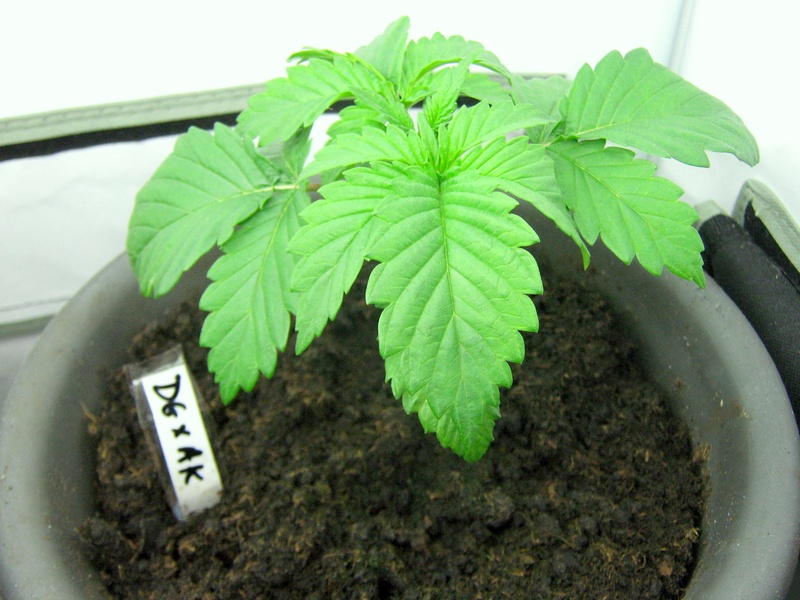 All the plants have taken on a deeper, darker green hue – a good sign of healthy roots and a strong plant overall. I must say, the plants are all flourishing under the CFL lighting. 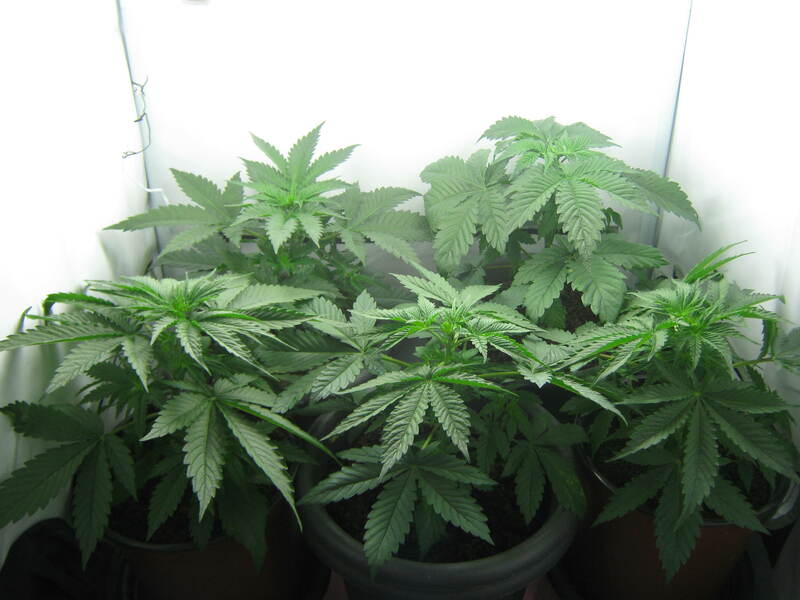 For you budget home growers out there, take this as encouragement – pay attention to the details of your grow, prepare well, and you can look forward to a great harvest on a shoestring budget. In one week, we’ll switch to 2700K lighting and a 12/12 schedule to “let the plants know” that autumn is approaching and it’s time to flower. We’ll have some immature buds for you to peek at by the end of next month, and I’ll keep you posted each week.